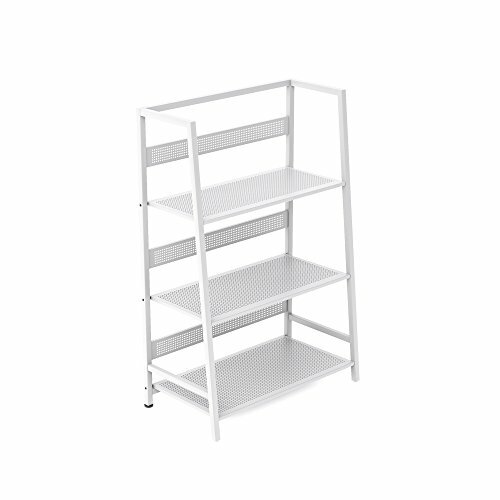 Big on storage but small in footprint, this 3-Tier Folding Shelf is just the thing for small spaces. With its modern aesthetic and powder coated finish on steel, the shelf is ideal in any setting, particularly the home office. It also works like a charm in the bathroom, kitchen or living room because of its size, and slightly sloped silhouette. The perforated design on the shelves add dimension while the backless construction lets you plug in electronics with ease. Best of all, it folds down in a jiffy for flat, easy storage. No assembly required.